Scientists at the Wake Forest Institute for Regenerative Medicine in North Carolina, USA, have taken the next step towards printing living replacement parts for our bodies. 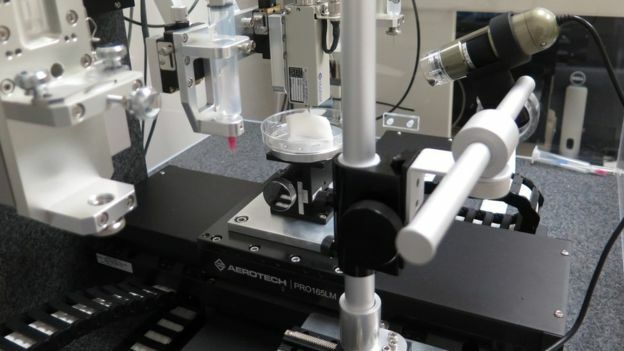 In a study published in the February 15th edition of Nature Biotechnology, the scientists revealed the ITOP (Integrated Tissue-Organ Printer). This 3D printer, which has been in development for over 10 years, is able to form structured living tissue, including ears, bones and muscles, which look and function like the real thing. One of the biggest hurdles currently for printing body parts involves giving them the right shape and structure, rather than just making a mass of biological goop. Unfortunately, human cells are extremely sensitive, and many of the components that a 3D printer could use to give structure are also toxic, preventing the replacements from living happily over the long-term. However, the team came up with a specific layering pattern incorporating two key pieces of technology. The first breakthrough is the optimised layering of two scaffolding materials, with each material having a part to play in generating the final living structure. One of the materials is very strong but toxic, and gives the body part its overall structure during the printing process, before being washed away immediately afterwards. In the meantime, the second material has been held in place by the shell, and has had the time it needs to harden. This material gives long-term stability to the living tissue without toxicity. Eventually it will be replaced by the body part’s own secretions, making it just like those we can already find in our bodies. The second key technology is the incorporation of empty tunnels within the layers. These allow the transfer of life-giving oxygen and nutrients throughout the living tissue. 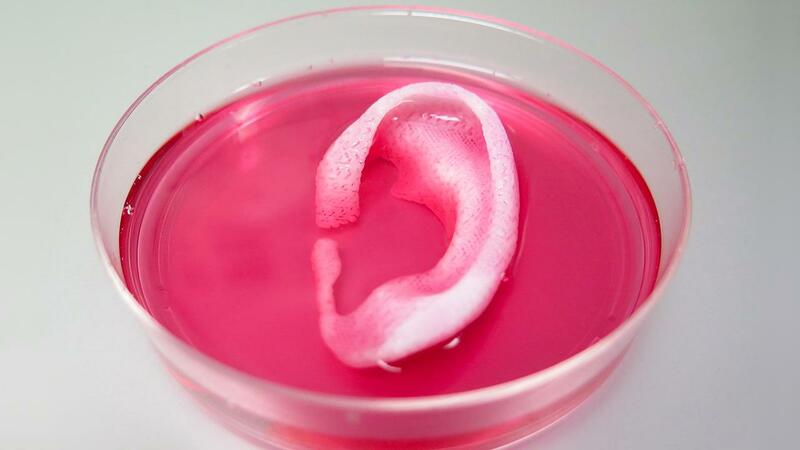 The team was able to 3D print an ear, small pieces of bone, and some muscle tissue. More importantly, all of these retained their structure, and carried out their basic functions. 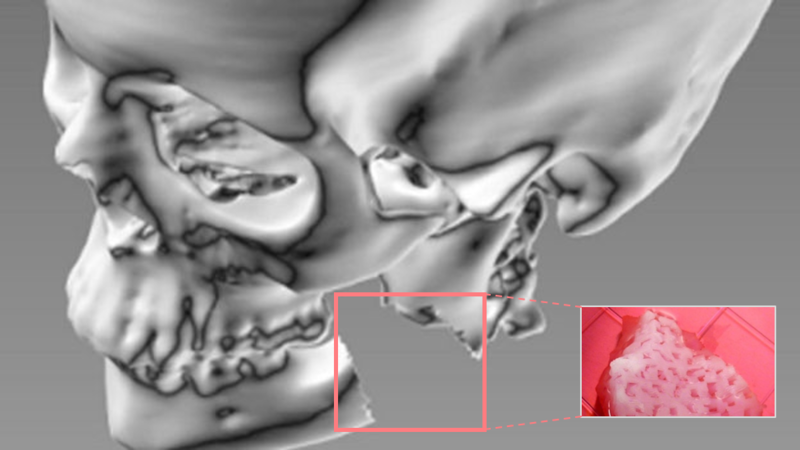 For example, the 3D-printed bone produced calcium, the ear produced cartilage, and the muscle rearranged itself into the proper structure for exerting force. These beginning steps set the stage for the next phase in custom-printing replacement body parts. Many hurdles still stand between the ITOP and its use in healthcare, such as figuring out how well the body tolerates the 3D printed replacements. However the research of this team is a huge step toward printing living, functioning replacements for our bodies. And the advantage of 3D-printing compared to other techniques is the extreme level of control, both over the construction of the replacement, and the tailoring of each piece to suit the subject perfectly.